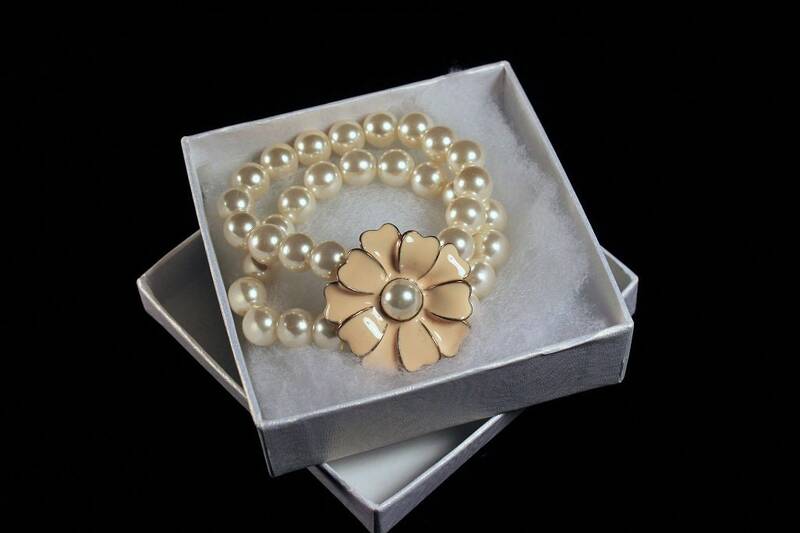 This is a gorgeous gold tone faux pearl stretch bracelet. 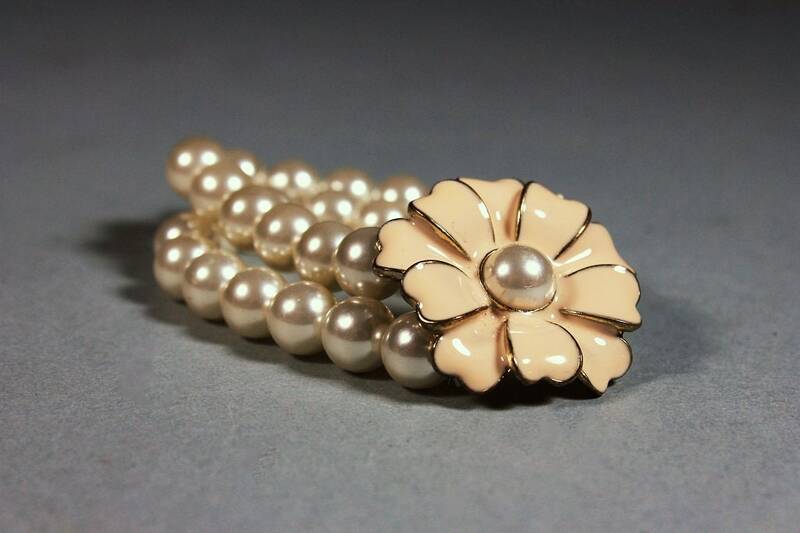 The focal on the bracelet is a large single pink enamel flower with a faux pearl center. 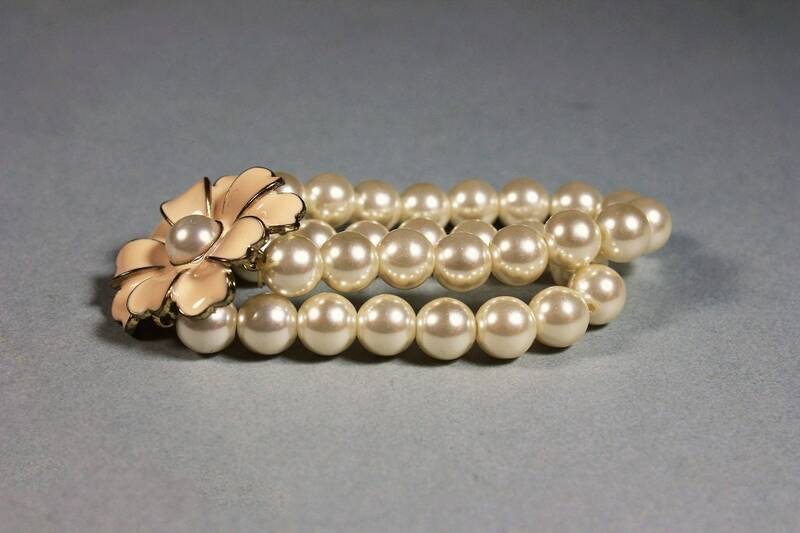 The pearls are a double strand and white with a beautiful luster A wonderful collectible bracelet that would make a perfect gift idea. 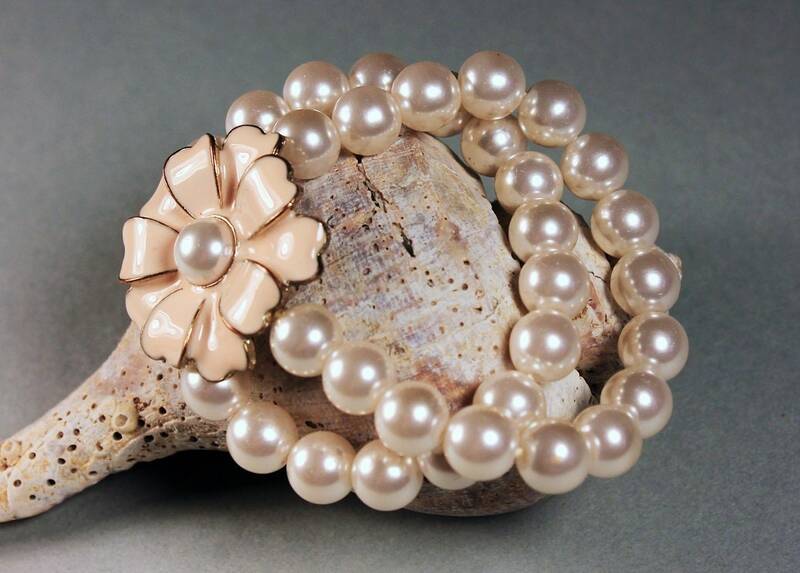 It would make a wonderful wedding bracelet. 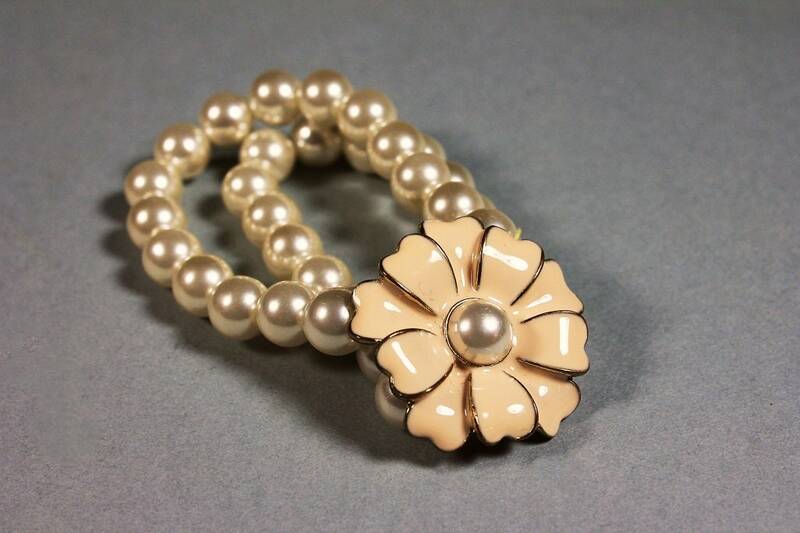 The Focal Flower is Definitely Light Pink (Photos Do Not Catch The Subtle Color). This is in excellent condition. 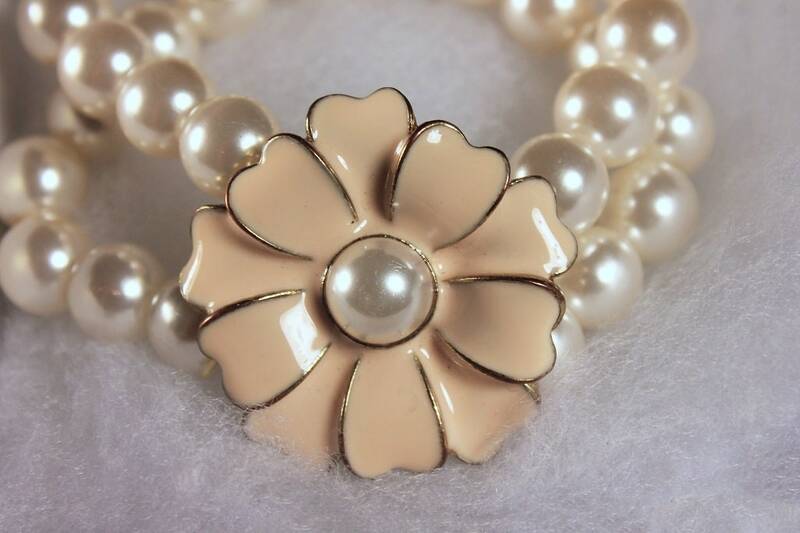 The flower focal has only one tiny mark on it. Hard to see and looks like a hair. 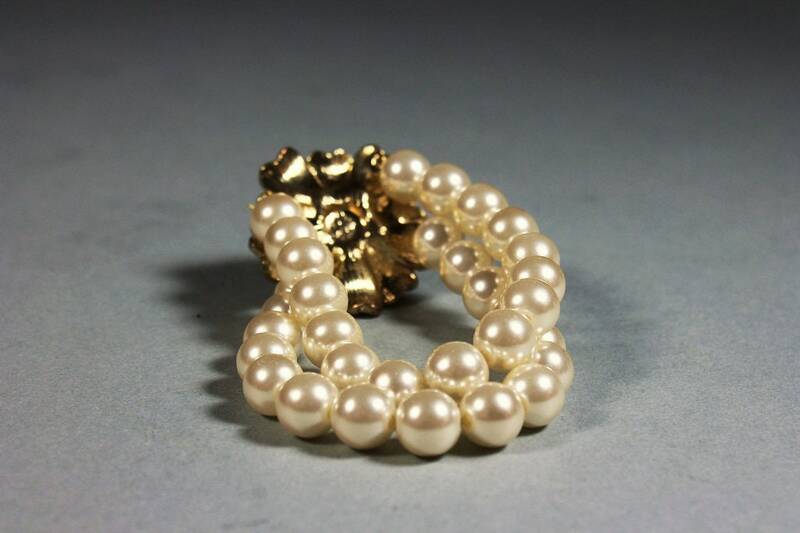 The faux pearls are all brilliant with a nice luster, none are scratched. 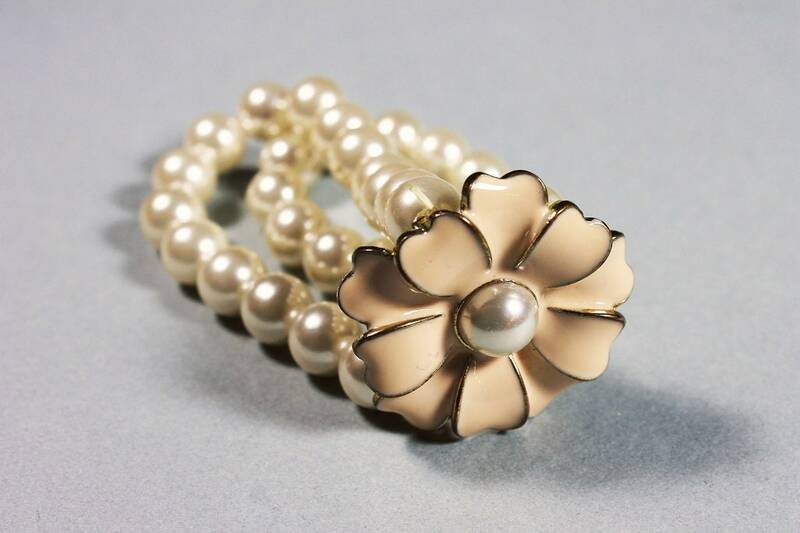 The gold tone is bright and shiny and the center pearl on the flower is unmarked. 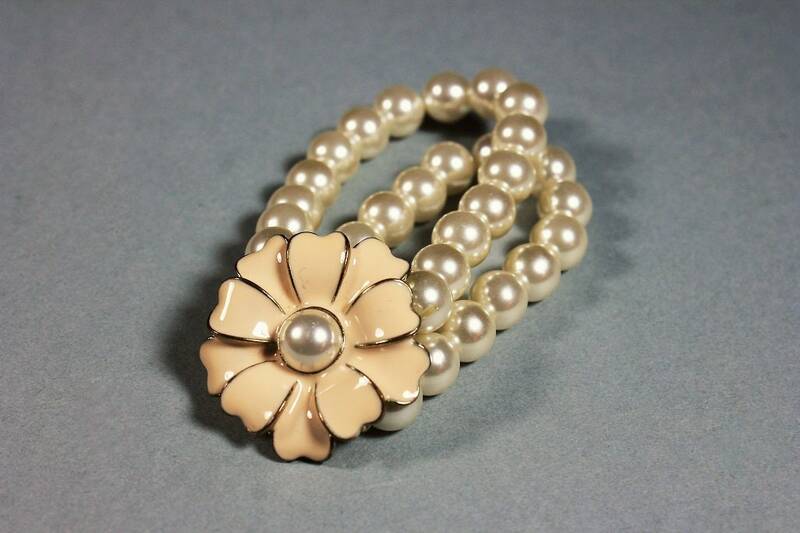 This would be a great gift idea for holidays, birthday, or special occasions. 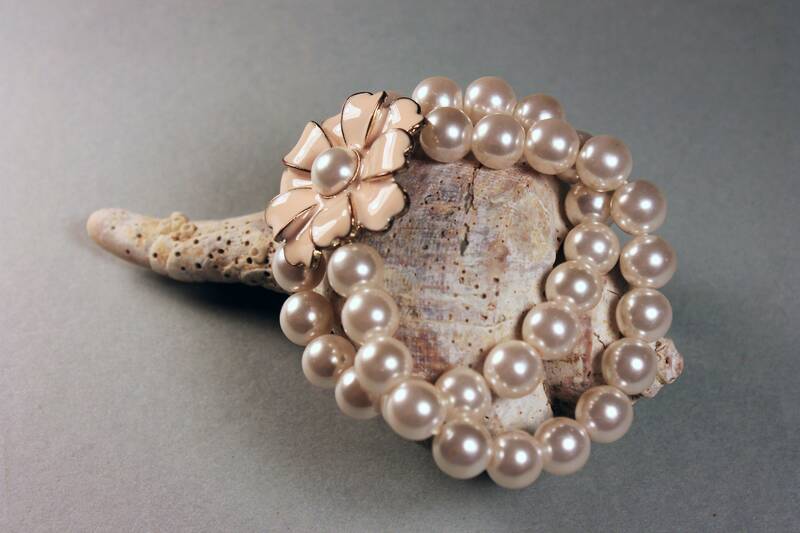 It would be a wonderful addition to a bridal ensemble.